This July, teams will venture across the country to compete in regional and national NCAA certified tournaments. Select teams begin mini-camp on July 10 at the College of Idaho. 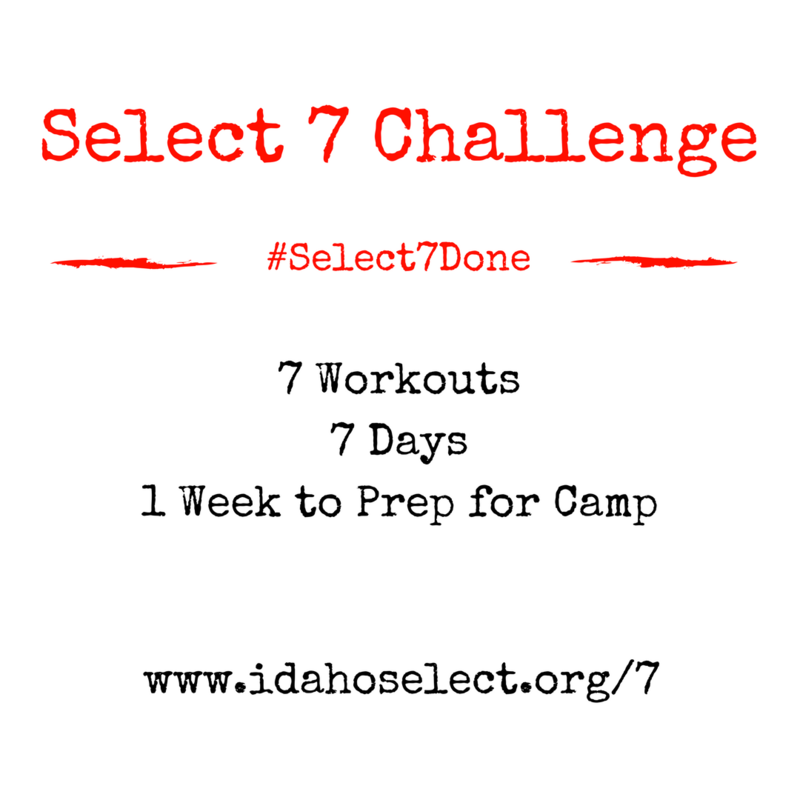 To make sure that all our players are ready for camp, we are issuing the Select 7 Challenge. Starting July 2, the challenge is to get in one of the following workouts every day for 7 straight days. By starting on July 2 you will finish on July 8. That gives you July 9 to rest up and get ready for camp on Monday, July 10. Complete as much as you can for each workout. With some modifications and some imagination, an individual should be able to complete at least 50% of the drills and athletic training posted. With a partner you can do 90% of them. If these don’t work then create your own that meets your needs. Post a picture or video during or after your workout. Leave some notes on how it went. Challenge other players to step their workouts. That’s it. We’ll be tracking the #Select7Done on Instagram, Twitter and Facebook. Who will get it done? Will you? Get in your work and we’ll see you July 10!